The Road to the Horizon: News: NATO in Afghanistan Encouraging Heroin Production? News: NATO in Afghanistan Encouraging Heroin Production? Since decennia, Afghanistan has been one of the main producers of heroin. 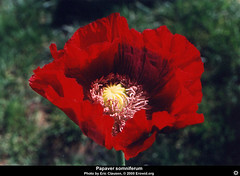 The plant, the poppy, grows easily, needs little water or care in general, and is easy to harvest: farmers milk opium resin from the plants which is processed into heroin and smuggled. Opium and heroin has become Afghanistan's runaway export success. 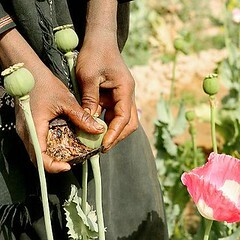 At the end of the Taliban reign, the cultivation of poppy was outlawed, and the crops were eradicated, up to the extend that the UN Drug Control Program (UNDCP) had closed its offices in Afghanistan with a note "Job Done!". Since the fall of the Taliban, the poppy crop soared from 8,000 hectares in 2001 to a record 165,000 hectares last year. The street value of the annual crop is estimated at US$3 billion, representing about 90% of the world's heroin production. An estimated 2.9 million Afghans, 13% of the population, are involved. There are no cartel lords. Western officials believe trade is controlled by 25 smugglers including three government ministers according to the Guardian. As the poppy cultivation is the main livelihood of so many Afghans, NATO gets a lot of resistance when they assist the Afghan government with the destruction of the crops. During this crop season, the farmers increasingly take up arms against ISAF, according to Time Magazine.. So what to do? According to "Der Spiegel", NATO is contemplating to legalize the narcotics traffic in Afghanistan... Guess under the motto "If you can not beat them, join them"?. Fact is that last week, the UK troops broadcasted a message over two local radio stations in Helmand - a region on the border between Pakistan and Afghanistan - stating: "Respected people of Helmand. The soldiers of ISAF and ANA [Afghanistan National Army- ed.] do not destroy poppy fields. They know that many people of Afghanistan have no choice but to grow poppy. ISAF and the ANA do not want to stop people from earning their livelihoods." That got a few people upset. Not at least the Afghan government. Col Mayo of ISAF admitted the wording of the message was "open to misinterpretation" and said that after complaints from the local governor, Asadullah Wafa, it was removed and an apology issued. I wonder what the apology was like? "Euh..., I am sorry, there was a misunderstanding. We ARE here to destroy your poppy crop!" ? Maybe next week's version will be "On popular demand from the Afghan people, NATO will now transport the poppy crop, and install an air bridge to the US as a counter measure for the increased Colombian cocaine prices"?. And then Bush could use it as an argument to state "We ARE winning this war against terror! We even quadrupled the Afghanistan export trade figures!". ha! More on Bush's view what "winning means", in the Washington Post. Sigh. It is not fair. :-( No matter how hard you try, you really can not win them all, right? Maybe the next move would be to bring the Taliban back into power, as at least during their reign, the poppy cultivation was virtually eradicated. Maybe we should suggest that to ISAF? Pictures courtesy of AP-Rafiq Maqbool (soldier picture), AFP (poppy harvesting), Eric Clausen (poppy close up). 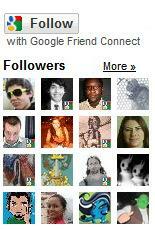 For updated humanitarian news, check out The Other World News. "Maybe the next move would be to bring the Taliban back into power, as at least during their reign, the poppy cultivation was virtually eradicated. Maybe we should suggest that to ISAF?" What exactly have you been smoking lately?